Welcome to the Barnyard Throwdown Registration. 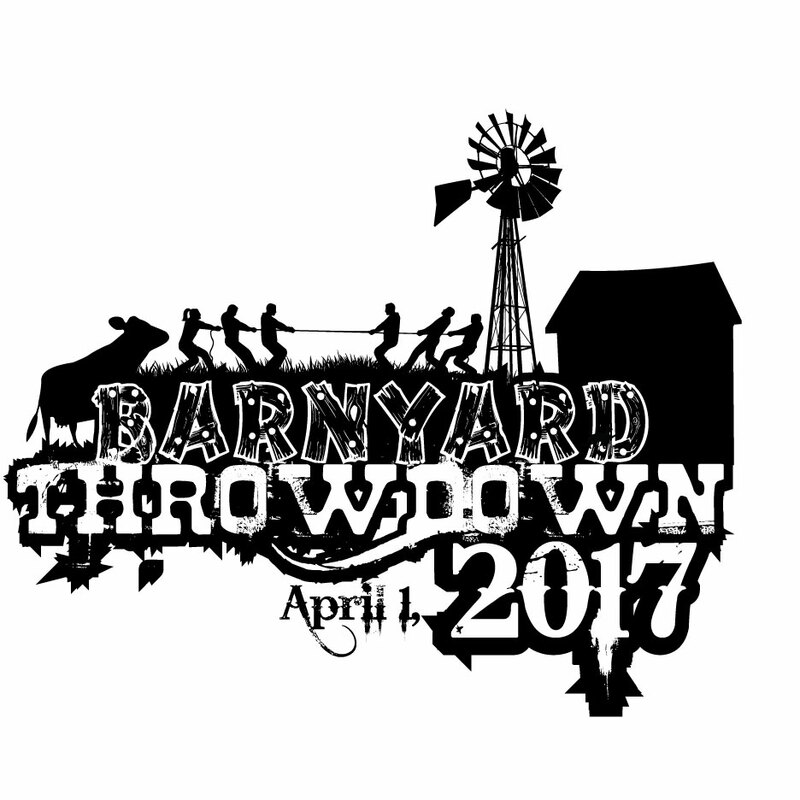 The Barnyard Throwdown will be a 3 person Team Competition where each Team will be required to have 2 guys and 1 Girl. This year just like previous years event is all about coming and having fun. There will not be your regular judges for each event but there will be counters at any movement for the WOD to keep up with total reps. We will lay out a range of motion for each exercise before the WOD, and we will expect everyone to do their reps to the full range and the standard which we all would strive for everyday in CrossFit. The counter will however make sure that you are doing your reps correctly and let you know if your range of motion starts to drop off. There will only be one division this year for the Throwdown but all WODs should be doable for most average crossfitter. There will be awards for top 3 teams. There will also be an after party offsite to follow at Harp and Clover. Our Title Sponsor this year is Wright Equipment and will be selling all the equipment used in Barnyard Throwdown at a discounted price. Great way to pick up some extra gear that has already been field tested for your Box! We will be listing the rest of our sponsors on our Facebook page so make sure to Like our Page Barnyard Throwdown to stay up to date with any news we have concerning other sponsors or possible tweaks to WOD’s. We will be posting pics of the event T-shirts and Venue soon. Price per team will be $175 for registration. Price will include 3 Event T-shirts. All shirts will be guys cut shirts and there will be extra Event T-Shirts for sale at the Barn for $20. 3-2-1-Go.. As a team complete 6 rope climbs. then run out of the barn together and grab a log and do short trail run. WOD ends when log is returned to starting point and all 3 teammates return to inside the barn. each team will have a pair of 50lb dumbells for the guys and a pair of 35lb dumbells for the lady. This event will be done relay style with only one person working. start in whatever order you want but all 3 partners will do 2 rounds. Partner 1 will do 15-Dumbell Thrusters and then run to designated spot up hill with the dumbells and then back down hill across the starting line. Then partner 2 will do the same. then partner 3 will do the same. starting back with partner 1 untill all 3 partners have completed 2 rounds. time ends when partner 3 crosses the finish line for the 2nd time. 15-Dumbell Thrusters with hill run. Discrimination of Mystery Stall Event. Tug-o-war is exactly what it sounds like. We will be taking the top 16 teams after the 3 WODS are completed for a single elimination Tug-O-War tournament for an additional set of Bumper Plates. In the event of a tie for any of the top 3 spots we will do max ??? in 3 min. Spectators are welcome but carpool as many people as possible do to somewhat limited parking. Coolers and food is welcome please just clean up after yourself as this is private property. Click Below to continue to Final registration and payment and be aware that we are only taking 40 teams so make sure to get registered Now. Hope to see you at the Barn!